Which Car for Test​ ? Which Products We Chose ? Polk Audio DB651 6.5"/6.75" are made from a polymer/mica composite with durable rubber surrounds that prevent it from falling off. Its RMS power is at 60 watts which give you continuous sound without requiring too much power from your vehicle. The peak power of 180 watts allows it to handle blasts of loud music. The downside to this product is that due to the lower quality polymer/mica woofer, there may be limited low-frequency sound. Also, the coaxial setup may hamper the surround sound quality. Next on the list are Rockford Fosgate Punch P1675 Punch 6.75" . 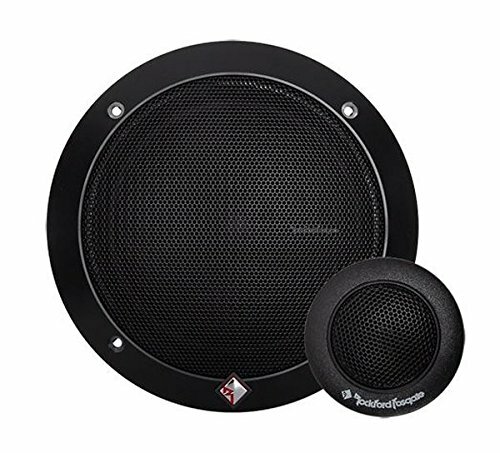 Rockford Fosgate speakers are easy to install and available in different sizes, so it fits most European car models. This brand is well-known for its clean bass sound and good surround sound quality. The tweeters are made of polyetherimide which is unique plastic material that can withstand high heat. It requires low power consumption with an RMS of 60 watts but delivers peak power at 120 watts. The downside to this product is that due to the all plastic components, it affects peak power threshold. One main issue that customers raised is that the sound quality is not okay when the volume is cranked higher. The next runner-up is JBL GTO609C Premium 6.5-Inch . JBL is another well-known manufacturer of high-quality speakers. The carbon-injected Plus One cones are larger than others, which means that they move more air and contribute to the better bass sound. Its soft dome tweeters have oversized voice coils that handle higher heat resistance and higher power. The dual level tweeter volume can be set to your personal preference and musical taste. The low impedance and three-ohm speakers compensate for the undersized wiring found in most new cars. The problem with this product is that there have been issues with one or both of the tweeters not working after a while. There have also been some complaints that they stop working when the volume is raised higher. 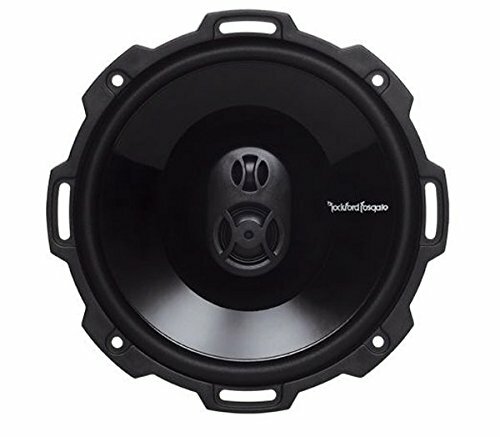 Next up is R﻿ockford Fosgate﻿ P1675-S 6.75". The Vertical Attach Surround Technique (VAST) emits good sound for mids and highs. It also comes with a flex fit basket design that fits most car models. The tweeters are made of a different kind of plastic, polyetherimide, that has high heat resistance. Despite the plastic, the sound quality comes off very good in higher frequencies. The low power consumption of 60 watts is a plus, as well as the peak power of 120 watts. The component system contributes well to sound dispersal. The only downside is that if you love bass and drums, it may not sound that good mainly due to the materials used. It is not recommended for high bass equalizers and high volume range. Our team of mechanics has been in business for many years now. Among our expertise are remodeling old cars, engine replacement, auto detailing, extensive car cleaning, and window tints. We make it a point to research and test high- quality products that we use especially in remodeling. The products that we recommend to our customers are tried and tested to ensure quality performance and safety. We also reach out to past clients and ask for their feedback on the work that we have done to make sure that we are always at par with their standards. We also coordinate with other expert mechanics and collaborate on best practices. Over the years, we have gained more and more clientele, and they continuously refer more customers to us. They are even amazed that we thought of sharing these tips on the web, allowing us to reach out to more people. As a mechanic and car enthusiast, I know how important it is to have the best sound system. In the past years, I have tested different products in search of the best car speakers. Having a great sound system is important because it helps keep us from being bored while driving, especially on long trips. Staying awake and being alert are very important in road safety. If the sound system is not of high quality, we end up not enjoying the music. Having a good sound system also allows you to pacify your kids on long drives and in moments where you are stuck in traffic. Driving can cause stress and having wailing children will be more distracting. On the other hand, a good sound system also contributes to relaxing with music. Well, not the relaxing that makes you fall asleep. But, it helps distract you from being nervous due to the noises around you. Some car owners also improve their sound system not just for personal enjoyment but to increase the resale value. A high- end sound system with great sound is a selling point for those who want to get top dollar for their car. We researched and tested about ten products in order to come up with the best car speakers. As a vehicle owner, it is also important to know what you are looking for, so you get the best value for your money. That is the measurement of speakers’ yield based on the applied power. 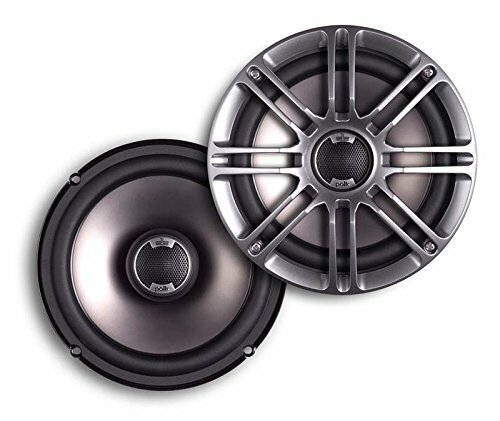 For low powered car stereos measuring 15 watts RMS or less, pick speakers with high sensitivity ratings (those over 90 dB). On the other hand, if you have high-powered car stereos, choose lower sensitivity ratings. You can read this guide to find best car stereo﻿﻿s for your car. That is how much power your speaker can handles; this is measured in watts. Look for the maximum power handling and not the peak power RMS. RMS means Root Mean Square and is shown as a range of numbers ; for example, “2-60” which refers to the minimum and maximum. If you have low-powered stereo speakers, you don’t need high power-handling, a “2-50 watts RMS” will work best for you. There are two types of speakers – full-range speakers and component speakers. Full range speakers contain all the elements such as the woofer (low sounds), tweeter (high sounds), and additional drivers such as midrange or super tweeter. Component speakers consist of separate woofers, tweeters, and external crossovers. The superior design works together to give you the best possible sound. when choosing the material, each component requires different materials in order to produce the best quality sound. A woofer delivers the low sounds, therefore the material should be stiff but lightweight. Components should also withstand extreme heat, cold, and moisture. Recommended materials are polypropylene mixed with mica. A tweeter produces high sounds. If you like soft and mellow tones, choose more elastic materials such as poly, textile blends or silk. If you like bright and lively music, go for harder materials such as metal, graphite, or ceramics. Surround materials contribute to the bass sounds. They should also be able to withstand high temperature and humidity. Rubber makes the best sound quality and is durable. Given the factors above, we were able to trim down our selections to five products. We also took the type of stereo system and model into consideration to make sure that they will be compatible. When testing the different products, we used two different vehicles – a Hyundai Elantra and a Jeep Cherokee so we can test the surround sound based on the vehicle size. We also tested blasting out different genres of music in different volume levels. We played jazz, blues, hip hop, dance, trance, heavy metal, rock, and alternative music. It became an enjoyable experience searching and playing different songs. We also tried driving around the block with closed windows to check the sound quality while the engine was running and the vehicle was moving. It was a unique driving experience driving around with loud music and booming bass sounds. The products we chose were very easy to install, apart from the Polk Audio Car Speakers wherein we needed to do a few modifications to fit it in the Elantra. We had to be careful in installing them since we might damage the cones and the sound quality might get affected. All of the products mentioned above have soft tweeters, which means that they were made for more mellow music. We noticed a distinct difference when we played loud, noisy music – they came out sort of scattered. The good thing is that all the stereo systems are high-powered, so we didn’t have any issues with the compatibility. Now that we have determined that the stereo system and type of music played has their certain requirements, we now understood why some customers had complaints about the sound quality. Another thing that we noticed is that we needed to adjust the stereo system’s equalizer in order for the sounds to blend with the speakers. While it is nice to listen to the booming bass, we do not recommend playing it a very high volumes because it is distracting not only to the driver but other people as well. We noticed that as we were driving around the block with the volume up high and with full bass, people crossing the street and even pedestrians would get distracted. We thought that it wasn’t a good idea – we were also disrupting the peace and order. It was also difficult to hear the sounds outside when the music was way too loud. Based on the selections above, two of the products are full-range speakers – Polk Audio Marine Certified Car Speakers and Rockford Fosgate Punch P1675 Speakers. We noticed that full-range speakers are best for cars because they require very minimal modifications especially when you are replacing the OEM speakers. Component speakers, with their separate components, are best for larger vehicles. Another reason is that the sound should be well-distributed when in a large vehicle such as the Jeep Cherokee. 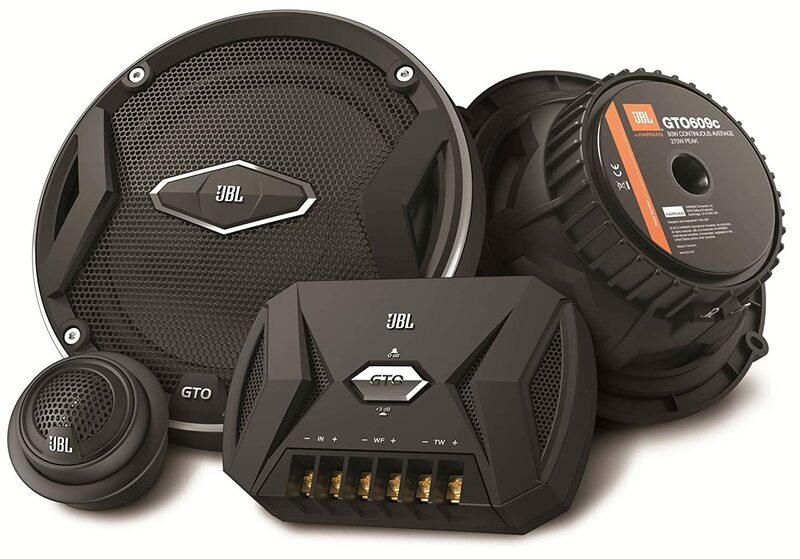 Therefore, the three products: Rockford R1675S R1 , Rockford Fosgate P1675-S 6.75" , and JBL GTO609C Premium 6.5-Inch are best for cars such as the Elantra. One product that also stood out is the Polk Audio DB651 2-Way . We liked the pivoting tweeters so we can aim it to a particular direction. This is particularly useful if you want the sound directed to you or a passenger. We also like the look of the stainless steel mounting hardware, but we noticed that it vibrates when we play high bass sounds. We also had a problem fitting this into Elantra. Another product that stood out in the tests was the JBL GTO609C Premium 6.5-Inch . Despite its size, which was smaller than the rest of the products, it was small but had a mighty sound. The problem we saw in this product is that the tweeters were too soft which could explain the possible damage that some customers reported. One likely cause is that they were playing too loud and hard music. The JBL speakers sounded better with R&B and Jazz music though. As mentioned above, we selected Rockford R1675S R1 Prime 6.75-Inch 2-Way as one of the best car speakers. The mylar balanced dome speaker was soft enough to absorb sounds that are too loud yet gave clear bass sounds. Also, the foam is cheaper than rubber but is still durable enough. Foam also works best in protecting your speakers from dust and moisture, making it easy to clean with just vacuuming. Another reason why we chose this product is that of the mica-injected polypropylene cone. Polypropylene is a kind of high-quality plastic that can withstand extreme temperatures. With mica injected into it, makes it stiffer yet emits better bass sounds. It is also lightweight, so it does not weigh down your door and is very easy to install. 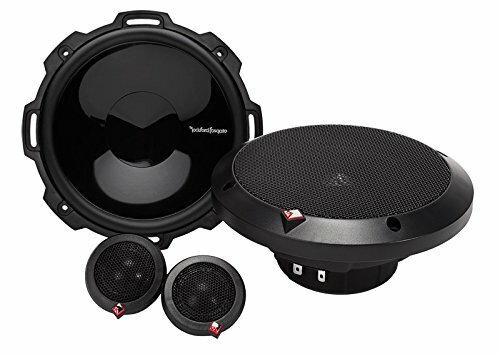 Rockford Fosgate has also been one of the top manufacturers of car speakers. For an affordable price but good quality, the Rockford R1675S R1 lives up to its word of being high- quality speakers. It was an enjoyable experience testing the different speakers because my team and I had a lot of fun listening to different genres of music. We even asked a few adolescents from the neighborhood to give us some suggestions on music. We realized that there were a lot of new music nowadays that was really great! We also had a fun experience driving around the block, although the loud music was not really recommended. Good thing we weren’t flagged for disturbing the peace and order. We also learned that when choosing the best car speakers suited for you, you also have to consider factors such as the type of music that you or your passengers like to play and the average volume that you tune it to. If your vehicle is not equipped with the proper specifications according to these factors, plus the fact that the speakers are not installed properly, then they will not last a long time. Such was the case of our customer, so we were able to figure out what speakers would be best for him. Hopefully, he doesn’t need to spend more to have them replaced again. What are your thoughts on this article? We’d love to hear your feedback on this one. Have you tried any of the products above? Please share your comments and suggestions based on the above products with us. If you have tried other products not listed above and would like to recommend them, we’d appreciate your suggestions, too. If you have stories about car stereo experiences that you’d like to share, please do so as well. Don’t forget to share this article with your friends! I am David Walker / An auto mechanic . I have 14 years of experience as a mechanic. Everything I share with you is based on my skills and knowledge accumulated over the years.